May You Be In Heaven a Half Hour Before the Devil Knows You’re Dead, Philip. Super Bowl 48 was a hot mess. Let’s discuss something else. Today there is shock Phillip Seymour Hoffman is dead from an apparent drug overdose. Tomorrow, the judgments will come fast and furious on why he is dead. If you don’t want to be judged, it’s probably not a good idea to be found in a room with a spike full of heroin in your arm. Hoffman was tremendously talented. You don’t win Best Actor Academy Awards for being a schlub. But talent is not enough. It’s never enough. The cemetery is full of talented people who make terrible decisions. The man was an Academy Award winning Best Actor for heavens sake and a husband and a father and a son and none of that matters now. That could have been avoided if Hoffman could have outrun his demons. But they ran a little faster. A small movie like Before the Devil Knows You’re Dead, the last film directed by the great Sidney Lumet, makes for electrifying viewing due to Hoffman’s nuanced performance. Even big-time, splashy action fare like Mission: Impossible 3 provide Hoffman a chance to show off his acting chops as a memorable villain rather than just phone it in and pick up a big check. It’s honestly shocking to me that Hoffman is dead. It’s shocking because 46 is too damn young to die. 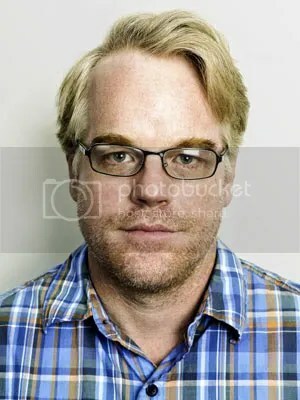 It’s shocking because Philip Seymour Hoffman’s talent emerged and overcame his less-than-leading-man looks. It’s shocking because the guy checked himself into rehab last year after 20 some years of being clean. It’s shocking because while addicts and junkies die every day, nobody notices until it’s a name brand that kicks off. It’s shocking because its sad, it’s unnecessary and the stigma that comes with treating drug addiction as a crime rather than a sickness is something we need to get serious about getting over. The song remains the same. Only the lyrics are changed slightly. Heroin is a helluva drug. R.I.P. Philip Seymour Hoffman. Gone far too soon.